Welcome to our latest round up of food news from across the county. There’s a lot going on – keep scrolling down for the jam-packed “In Brief” section. Following the success of Canteen Cornwall‘s first event (read about it here) the team is returning to Heligan on Saturday 11 March for Lost Stories of Heligan – Magnolia. 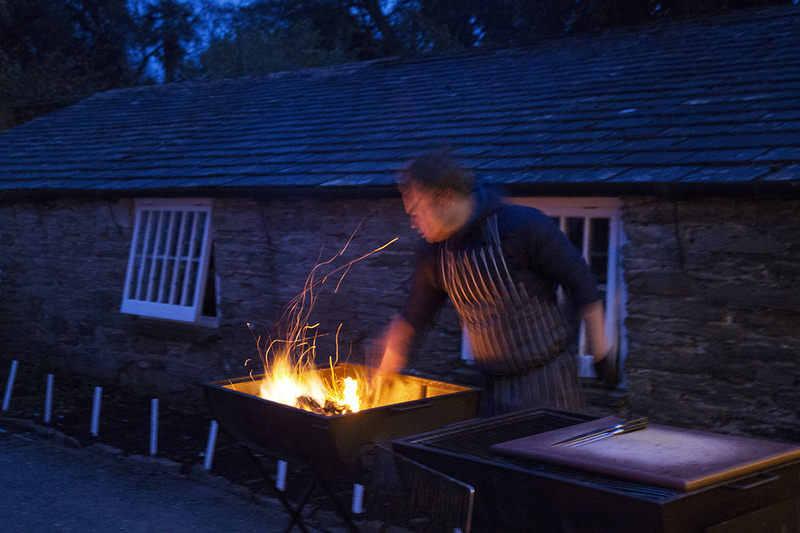 Expect a wood-fired feast of beautiful produce from the Heligan gardens and surrounding farms. The evening starts at 7pm, but you can arrive earlier and visit the gardens. The main gardens close at 5pm. Tickets are £35 each and available to purchase online. Craftworks Street Kitchen has just taken delivery of their new food truck, which will be working alongside their HQ in Truro. Look out for the truck at festivals across the county this year, including the Great Estate at Scorrier, Porthleven Food Festival, and Polo on the Beach. Street food has really taken off as wedding fare, with mini wedding festivals all the rage. To book the truck for a party contact Mick or Danny via their website. Keep an eye on their Facebook page for current offers, such as a main, side and beer for £10 between 5 and 8pm on Fridays, and 2-4-1 burgers from 5pm on Saturdays. The head chefs of sister hotels The Old Quay House and The Rosevine are going head to head for the ultimate food fight over two evenings. The first night was hosted by The Old Quay House in February (Richard Massey won by a whisker) and the second will be hosted by The Rosevine on Thursday 30 March. Over the two nights the chefs (Tim Pile, above left, and Richard Massey, above right) are battling it out, flexing their culinary talents and showcasing their skills. There are no rules and the chefs are free to cook whatever they choose using the best local suppliers. Each are cooking two dishes per night, and guests vote for the winner at the end of each evening. Dinner, bed and breakfast packages are available for £149 for two people, based on two sharing. Dinner only is £35 for 4 courses with £2 per ticket going to the hotels’ chosen charities. For reservations for the second round on 30 March, phone The Rosevine on 01872 580206. 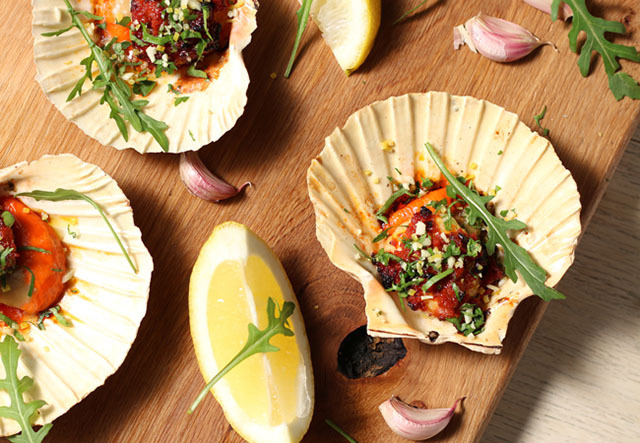 “Fish Friday” returns to Watergate Bay’s The Beach Hut on Friday 3 March with a fish tapas selection from around the world. Do it properly – keep your plate to mop up each course as it’s served with big hunks of bread. Expect dishes like salt cod brandade, tuna poke with avocado purée, crab and seaweed doughnuts with brown crab mayo, prawn sang choy and grilled half shell scallops with spicy spreading salami. And finally, pistachio craquelin choux buns for dessert. £25 per person, including food and entertainment. Vegetarian option available. Buy tickets online or phone 01637 861295. This month’s feasts will be held on 11 and 25 March, with bed and breakfast options available for both. The menus have not been finalised yet, but expect delicious food, including homegrown lamb, and a fantastic atmosphere. Tickets available online. Feasts are priced at £38 per person, B&B packages cost £210 for two people including dinner. New for 2017 are Farm Gate Feasts; the Nancarrow team will be popping up at some of their suppliers’ farms. Sign up to receive their newsletter to be the first to find out dates and locations. Andy Appleton’s eponomous restaurant at Trevibban Mill celebrates its first birthday on 16 March. If you haven’t visited yet then we highly recommend you book a table – the food there is wonderful. We were lucky enough to visit on their first night of opening in 2016; read about it here. Expect beautiful dishes, handmade pasta and gutsy flavours. The combination of top notch Cornish ingredients and Italian cooking works really well. To celebrate a year of fantastic food, Appleton’s has a special offer for you: book a table between 15 and 19 March, quote “Happy Birthday” when you book, and receive a tasty little gift upon arrival at the restaurant. Phone 01841 541413 or book online. A Great Lunch & A Great Walk is a new offer running through March and April at The Carew Arms in Antony. Go to the gorgeous pub for a delicious two course lunch (a main course and either a starter or dessert) and they will give you a free ticket to the beautiful Antony Woodland Garden (normally £6 each). Offer available Tuesday to Saturday. For reservations, sample menus, etc. visit carewarms.com. Watch out for new coffee company Rising Ground, which has just ordered a shiny new roaster, and should be up and running, roasting their own beans, by late spring/early summer. The roastery is a new project for previous UK barista champion Hugo Hercod, and will be based at Relish Food and Drink in Wadebridge. 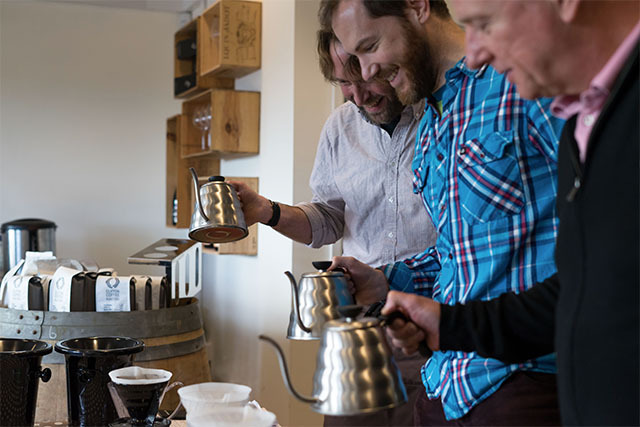 Rising Ground is teaming up with binTwo for a coffee brewing masterclass, which will be held at binTwo’s Hawksfield hub, on Saturday 25 March. Priced at £35 per person, the morning will cover everything you could possibly want to know about making great coffee in your own home, and includes breakfast. Full details here. The Great Cornish Food Store in Truro is hosting a special St Piran’s Day event. Award-winning pasty-crimper Graham Cornish will be doing a crimping demo between 11am and 1pm, plus visitors can sample his range of pasties and sausage rolls. 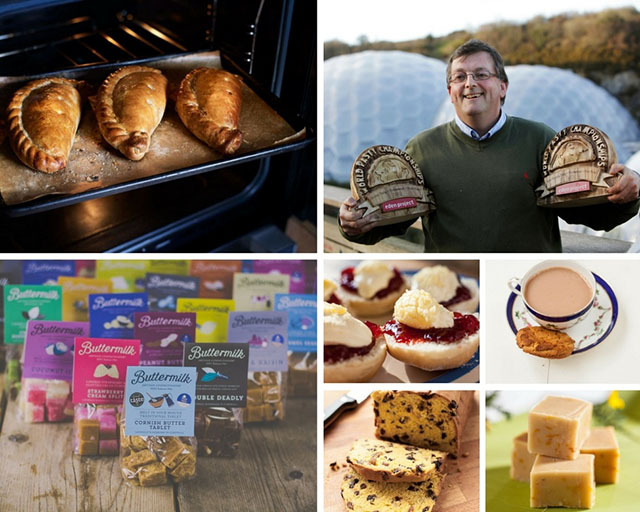 There’ll be other tasters on offer too: Trewithen Dairy’s clotted cream (on scones, with jam first of course), Simply Cornish’s saffron cake, Buttermilk’s new fudge flavours, and Furniss’s Cornish fairing biscuits. 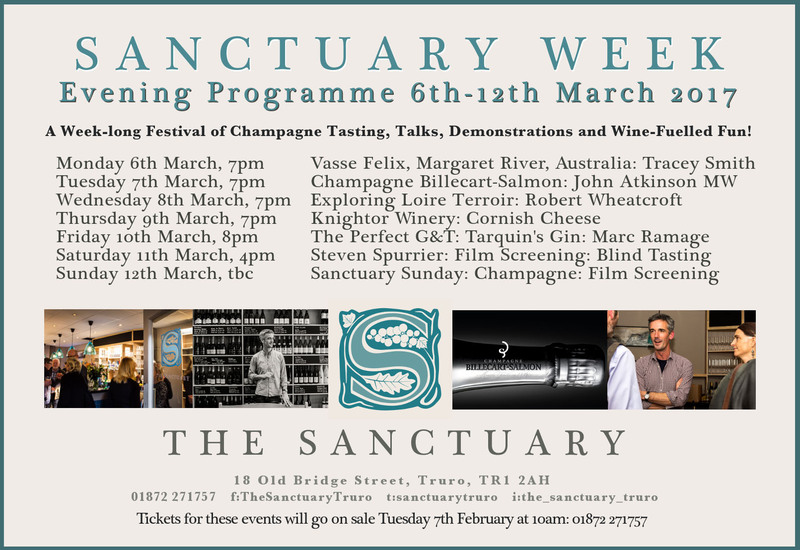 Truro wine bar The Sanctuary is holding a week long programme of wine tastings from 6 to 12 March. Each day has a theme, with guided wine tastings, talks from experts, demonstrations and nibbles. Full details of the events can be seen in the image above, and by visiting The Sanctuary’s Facebook page. Tickets for the events are £10 each, and £20 for the blind tasting and film screening on Saturday 11 March. To book your place phone 01872 271757. Sam’s on the Beach in Polkerris is running a special menu in aid of The Fishermen’s Mission until 1 April. The three course menu is priced at £20, with a £2 supplement going to the charity. Dishes include fish soup or mackerel pâté to start, bouillabaisse, cod goujons or sea bass for mains, and caramel apple tart or bread and butter pudding for pud. To make a reservation phone 01726 812255. Available from 12 noon to 5pm, Monday to Thursday. 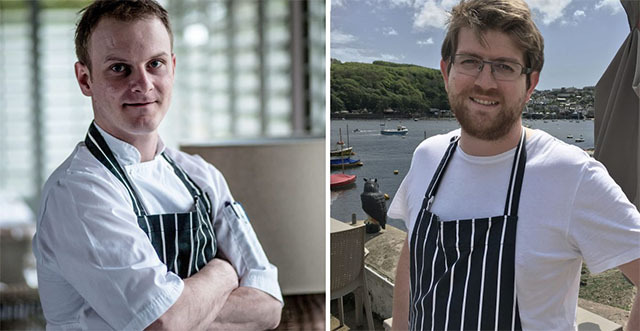 Chefs Stuart Millard and Mike Greer’s aim is to reduce food waste and tackle food poverty in Cornwall. 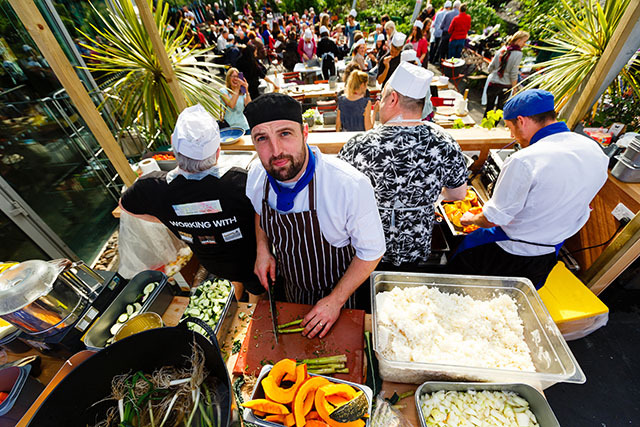 They launched Keep Cornwall Fed in January and have set themselves a target for their first year – to feed 5,000 people, and give back 5,000 meals to people in food poverty in Cornwall. Click here to read more about this brilliant scheme, and to find out how you can get involved. Oliver’s chef patron Ken Symons has put together a series of special guest chef charity dinners over twelve nights between 9 January and 27 March. The fantastic-looking tasting menus are priced at £50 per person, or £75 with a wine flight. Proceeds will be shared between Hospitality Action and The Cove Macmillan Support Centre. More information about the chefs and their amazing menus can be found on oliversfalmouth.com. Contact Ken at Oliver’s on 01326 218138 to make a reservation. 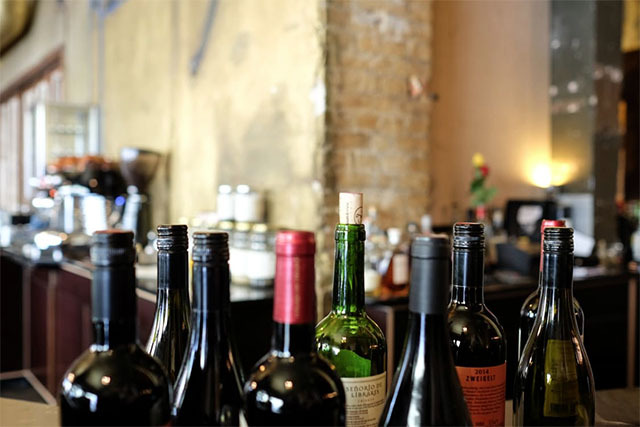 Wine merchant binTwo is teaming up with chef Lewis Cole of WildBake for an Italian themed evening on Saturday 11 March. Guests will be guided through six rather good Italian wines by an expert, and Lewis will be serving up a four course feast of wood-fired food: a selection of bruschette, a fish course, porchetta with salsa verde and roasted rosemary potatoes, and baked peaches with amaretto and mascarpone. It sounds delicious. The event will be held at 7pm at binTwo’s Hub at Hawksfield, tickets are £60 per person. For more details or to book your place, visit their website. Tom Mackins’ new “eating and drinking house” is up and running on Bank Street in Newquay, open from 9am until late, Tuesday to Saturday (brunch, lunch, afternoon tea and dinner) and for Sunday lunch from noon until 3pm. There are regular offers, such as 2-4-1 on cocktails during happy hour, and “something sweet and a drink” for £5. 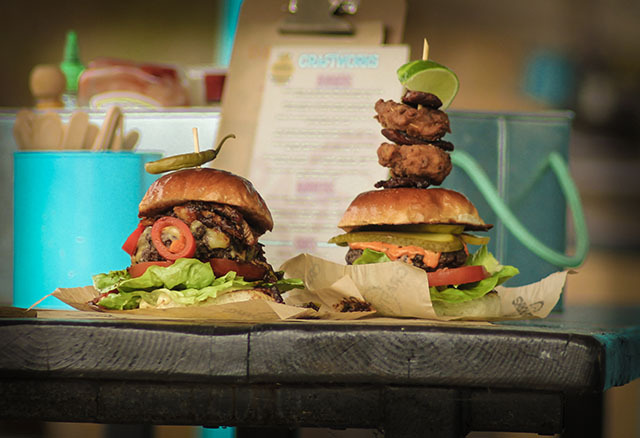 The menu looks brilliant, with a selection of sliders (£5 each or 3 for £12) including a pulled duck burger, slow cooked lamb burger, and fish finger and tartar sauce sandwich. The small plates menu is very tempting – £7 each, 3 for £18, 5 for £32, 7 for £45, etc.. Dishes include salt and pepper squid with chilli caramel and thai salad, smashed crab claws, devilled whitebait with grilled lemon and aioli, pork meatballs with Arrabbiata sauce, confit duck cassoulet with hoisin sauce, a 6oz bavette steak, tempura vegetables, avocado fritters, butternut squash and almond arancinci, and bubble and squeak scotch egg with Béarnaise sauce. Children are catered for too, with mini mac ‘n’ cheese, fish and chips, burgers, and more, priced at £5. For more details see Facebook. Join in the singing this St Piran’s Day, with the Trelawny Shout, organised by the Cornwall Community Foundation. Kicking off with the Young Farmers’ pre-shout on Lemon Quay, thousands of people are expected to sing along in over one hundred pubs across the county. Last year The Fishermen’s Friends, The Aggie Boys, Kernow King, local shanty choirs, male voice choirs, folk groups and Cornish bands all took part. For participating pubs, and the lyrics, see cornwallfoundation.com/trelawny-shout and keep an eye on Facebook for last minute details. Nathan Outlaw will be joined by chefs Tom Adams, Tim Barnes, Zack Hawke and the team from Sharp’s Brewery, for a Hospitality Action Fundraiser Lunch, Cooking for our Own, on Sunday 5 March. The chefs’ special lunch, with matching beers, will be served from 12 noon until 4pm, and is priced at £35, with all proceeds going to Hospitality Action. If you can’t attend, but would still like to be involved, then enter the raffle, with some impressive prizes including meals at Restaurant Nathan Outlaw, No 6, Zacry’s, The Seafood Restaurant, Kota, and Ben’s Cornish Kitchen. Tickets are £5 each, buy online before 5 March. 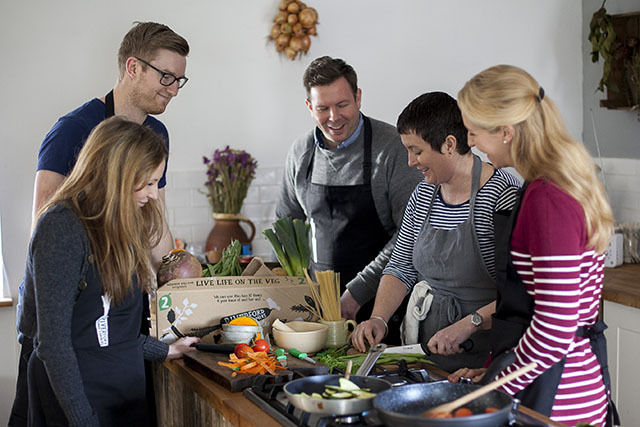 Riverford Home Delivery is running two masterclasses in vegetable cookery at Baker Tom’s Café in Pool on 2 and 28 March. Following a two hour cookery session, students will then enjoy a meal of the food they have cooked. £40 per person, which also includes home delivery of your first veg box, and a cookbook. To find out more visit their website. Forager Caroline Davey (Fat Hen) and winemaker Mark Hellyar (Chateau Civrac) are joining the team at The Gurnard’s Head for a Wild Cornwall Wine Supper at The Gurnard’s Head on 10 March. Caroline’s foraged ingredients will be incorporated into the meal by head chef Max, and the four course menu will be accompanied by matching wines, as chosen by Mark. £60 per person, including aperitif and coffee. To book your place phone 01736 796928 or visit www.gurnardshead.co.uk. The new lunch menu at Fifteen Cornwall is packed full of gorgeous flavours: the first spring vegetables, fresh Cornish fish and flavoursome meat, all cooked in the restaurant’s signature Italian-inspired style. Quote SPRING2017 when booking your table, and receive a free dessert when you enjoy two courses from the full lunch menu for £26. Available every day until 24 March. Regular fire and feast nights are being held at Bedruthan again this year, with long table feasts served from an open kitchen, with stunning sea and sunset views, and a fire pit in the coastal dune garden. Each feast includes nibbles on arrival, hearty platters for main course, sharing desserts and marshmallows by the fire. The first feast of the year will be held on 24 March, and features a selection of curries, including slow cooked lamb curry, ginger and coconut chicken curry, and a vegetarian curry. Drinks not included. Each feast is priced at £35 per person. For more information or to make a reservation visit bedruthan.com. Dates for the spring/early summer are: 28 April, 12 and 26 May, 16 June. Congratulations to the four Cornish restaurants to be included in The Times’ UK Top 100 Restaurants 2017: Restaurant Nathan Outlaw, Paul Ainsworth at No 6, Prawn on the Lawn, and Ben’s Cornish Kitchen. The regular Friday Feast Nights continue at Knightor Winery. This month’s include a Sri Lankan feast on 3 March, St Patrick’s Day Feast on 17 March, and Cornwall Air Ambulance Charity Feast on 31 March. 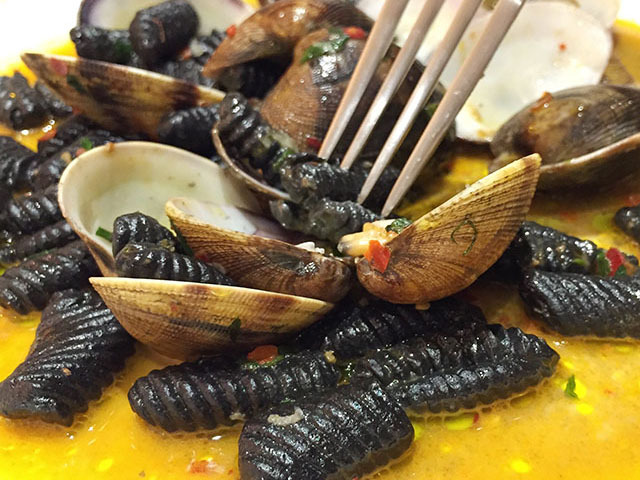 The Taste of Portugal dinner menu being held at Sam’s in the City on 8 March looks delicious. £35 per person, including wine. Phone 01872 859819 to book your place. If you live in London but are missing Cornwall, you can get your Cornish cultural fix at Kernow in the City on 4 March. The annual celebration of all things Cornish kicks off at 7.30pm at Rich Mix, Shoreditch. The annual World Pasty Championships will be held at The Eden Project on 4 March. Live music, entertainment and good food (pasties). Crimping workshops and pasty craft sessions for all the family. This year’s Porthleven Food Festival will be held from 21 to 23 April. The theme is “Under the Sea”, more details about the event in next month’s diary. This month sees the launch of a new sushi and sashimi course at Philleigh Way Cookery School. The first two lessons take place on 5 and 29 March. Origin Coffee’s Latte Art Smackdown takes place at 6.30pm on Thursday 2 March at The Box and Barber Coffeehouse in Newquay. £5 entry, winner takes all! A new café, Sea Spray Fistral, has just opened, overlooking the beach. Open all day from breakfast through to 4pm, pop in for coffee and cake, or lunch with a view. Open late for dinner and sunsets in summer. Thursday 2 March sees A Night of Negroni at the bar at Fifteen Cornwall, with a talk on the history of the cocktail and little plates to accompany it, £35 per person. Rick Stein’s Beer and Mussel Festival takes place from 17 to 19 March at The Cornish Arms in St Merryn. There will be 40 different beers and ciders, various mussel dishes, live music, and Six Nations matches on the big screen. For full details visit their Facebook page. Buttermilk Fudge has introduced two new Cornish collaboration flavours: Cornish Gin and Cornish Earl Grey. The Olive Tree in St Merryn will be reopening for dinner (Tuesday to Saturday from 6.30pm) from 16 March for their seventh year serving Mediterranean-inspired dishes featuring delicious Cornish produce, fish and seafood. For reservations phone 01841 521560. 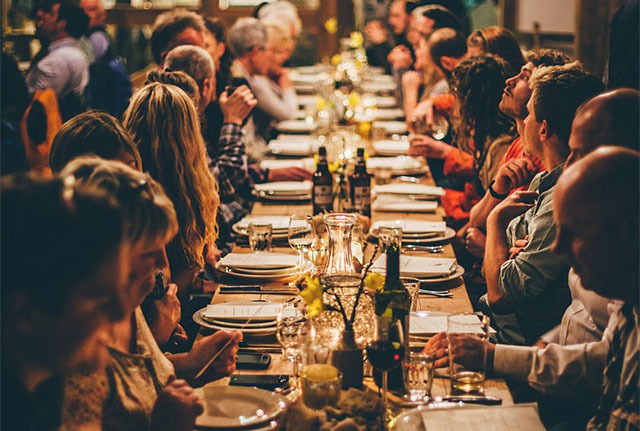 Potluck Cornwall’s next events include an Natural Delicacy evening on 14 March (which includes edible insects and the world’s first insect butters) and a more conventional Italian themed evening on 4 March. Competitive mixologists should head to ExpoWest at the Royal Cornwall Showground for the Old J Cocktail Comp on 7 March. Midtown Deli in Truro is closing at Easter, and relocating to Penperth Farm on the Roseland. Plans include a farm shop and larger café, due to open in May. Skinner’s Brewery has taken over The Bridge on Wool pub in Wadebridge. Dine Opera takes place in Truro Cathedral on 18 March. After a welcome drink in the cathedral, guests will enjoy a three course meal, accompanied by operatic arias, for £40 per person. Proceeds to Truro Cathedral Music. Head to Porthtowan Beach Café on 11 March for a Japanese Feast, £20pp, advance booking essential. The Fish House at Fistral is back open after a winter break, and chef Paul Harwood is introducing some new tasty dishes to the menu. Tom Mackins’ fine dining restaurant in Newquay will be re-opening as Restaurant Drøm on 9 March. C-Bay Café at Crantock is holding an Italian Night on 3 March. See Facebook for the full menu. Congratulations to Chris Lanyon of Chapel Café in Port Isaac, who has been crowned champion in the professional category of the Bird’s Eye Fish Finger Sandwich Awards. Black Rock Beach Café and Bistro near Looe are open again for the season, and new for 2017 is the Beach Bar. An interesting event: free film screening of What’s With Wheat, followed by a Q&A session with the documentary’s producer. The Regal Cinema, Redruth, 6 March, tickets are free, but must be booked in advance. Like gin? Head to the Cornwall Beer and Wine centre for a Cornish gin sampling session on 24 March. We love to hear from you, so please comment below or send us an email. For your news to be included in the April Foodie Diary, please ensure it reaches us by 22 March.